Home » Wedding Garments. Hungary bridal couple. 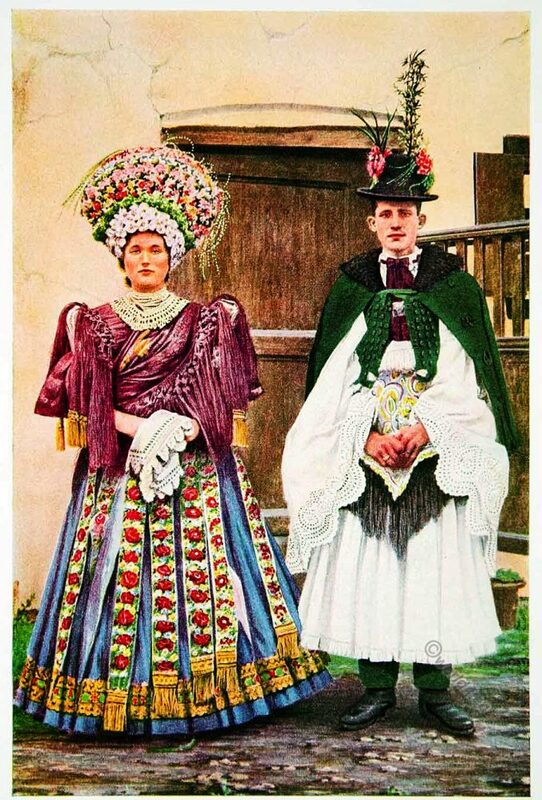 Wedding Garments are worn by the Hungarian peasantry in exact imitation of those of medieval times. The brides’s flowery headdress, her embroidered panels and handkerchief, the size of a dinner napkin my have taken years to make. The bridegroom`s surplice-like robe is heavy with handwork and the flowers in his hat are to be regarded with entire seriousness. Source: People of all Nations by Sir John Alexander Hammerton. London 1925.